By: Toni Guinn, with contributions from Jerome D. Moss. We would like to take a moment and share with all of you some key factors you need to be aware of and the importance of implementing them into your everyday procedures in order to protect your employees, yourself and your company. First and foremost, you should always contact your local OSHA representative and get current on the specific requirements that pertain to your field and industry. Each industry has its own “onboarding” requirements so you must familiarize yourself with the processes for new hires; it all starts on day one. You are also responsible for training and documenting said training of all your employees on OSHA requirements for your field. For this reason you need to provide any and all necessary information and equipment to allow employees to perform their job per these requirements. Compliance success will be much easier if all parties know all of the rules. You are, in fact, obligated to constantly update employee knowledge, records, documentation and workplace safety standards to ensure you conform with OSHA. Do you provide your employees with the proper OSHA forms for documenting and reporting any workplace incidents? Does everyone know the process for filing and implementation once the documents are complete for anything from a cut finger to a required hospital visit? Do you have immediate access at all times to Job Hazard or Safety Analysis documents and have continuous training for each appliance product category you work on? Do your employees have access to current Safety Data Sheets for all possible hazardous products, such as acetylene, ice maker cleaner, refrigerant, etc., at their fingertips? All employees need to be provided a safe evacuation route out of the workplace (including both your main office or any place an employee is currently working, such as a customer’s home). Do you provide a list of required tools, and regularly inspect and document these tools are in good working condition? Without a doubt, this can all seem tedious, if not a bit daunting, but it is crucial to familiarize yourself with proper reporting, procedures and OSHA timelines when incidents occur. Even “near misses” need to be handled, documented, investigated and classified for everyone’s sake. A workplace free from serious hazards that complies with OSHA standards, rules and regulations. Examine your workplace conditions to make sure they continue to conform to OSHA standards. Always ensure your employees have safe tools and equipment that are properly maintained with regular inspection logs. Establish your operating procedures and make sure all employees are aware of them and follow the requirements. Provide medical examinations and training when required by OSHA. In a high traffic area within the workplace, post the OSHA poster. If you have more than 10 employees, keep records of all work-related injuries and illnesses. 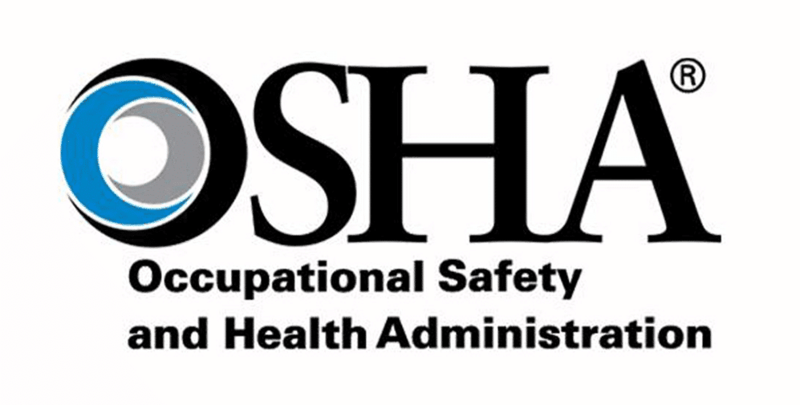 OSHA encourages all employers to adopt an Injury and Illness Prevention Program. These requirements are necessary for the health of your company and your employees. The sooner you get up to speed on what is expected of you, the sooner you can breathe a sigh of relief that you are following OSHA requirements and keep yourself out of trouble. We are all so fortunate to have great employees who are like family to us, and our top priority is to provide a safe work environment, with procedures on how to handle the unexpected. We depend on them every day to keep our business wheels turning, and they depend on us to keep them safe while doing so. OSHA demands that all of us provide safe, healthy workplaces and conditions that follow industry standard. We cannot stress OSHA compliance enough. It’s possible you’re thinking that your company, as well as most companies you know, are not following these stringent guidelines. Do not let that fool you into believing this is not a crucial priority for your business. OSHA does not care what your contemporaries are doing, and you will be punished for any requirements you are not following, regardless of what the general consensus considers industry standard. The repercussions can and will be severe, including hefty fines and imprisonment that could put you out of business. Do not wait until disaster has struck to try and catch up from behind on the legalities OSHA expects you to have already had in place. Always remember, this is all to the greater good and will help you avoid a heartbreaking event. Toni Guinn is the Vice President at Guinco Service. JD Moss is the Director of Operations.